IBM Maximo and IBM Control Desk. The Internet of Things is projected to grow to$1.7 trillion by 2020 bu IDC. Thought leading companies in agriculture, construction, manufacturing, trucking and utitlites are all getting on board with IBM solutions to optimize profitability. 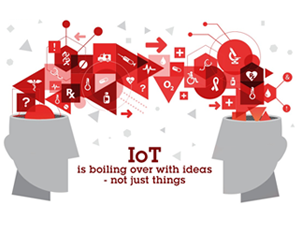 Thought leaders from a wide range of industries weigh in on the impact of IoT for their companies.